I got out of patched round balls a while back in my sidelocks and started using maxi balls. Accuracy increased, for me anyway, and they seemed to do a good bit more damage out to 100 yards. Only one of my sidelocks will accurately shoot saboted bullets worth spit, it's actually pretty good with the 250 grain XTP's keeping inside of an inch and a half at 100 and I have yet to have to track a deer further than 50 yards with either the Maxi balls or the XTP's. 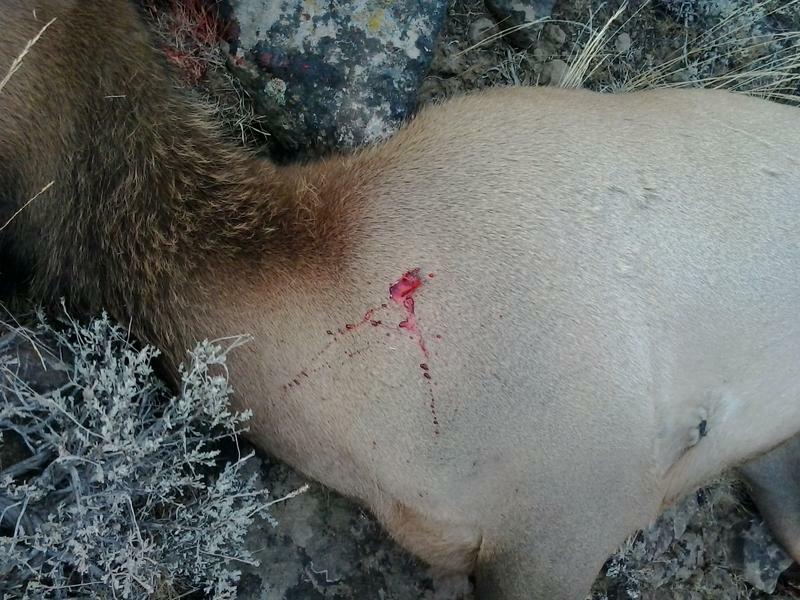 I tend to agree with Muley Hunter and the others on taking double lung shots over a shoulder shot. 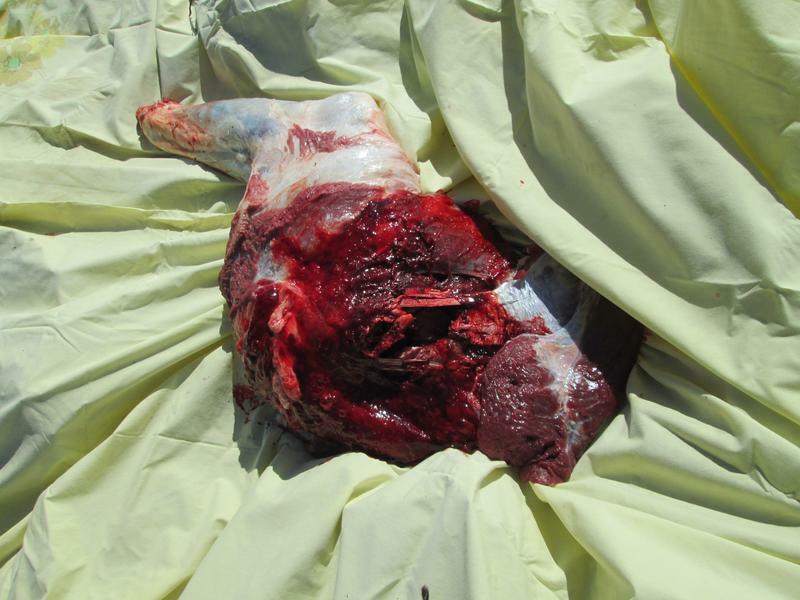 Less resistance and taking out both lungs will tend to put the drop on an animal quicker with the shock value. Not to mention less meat damage. 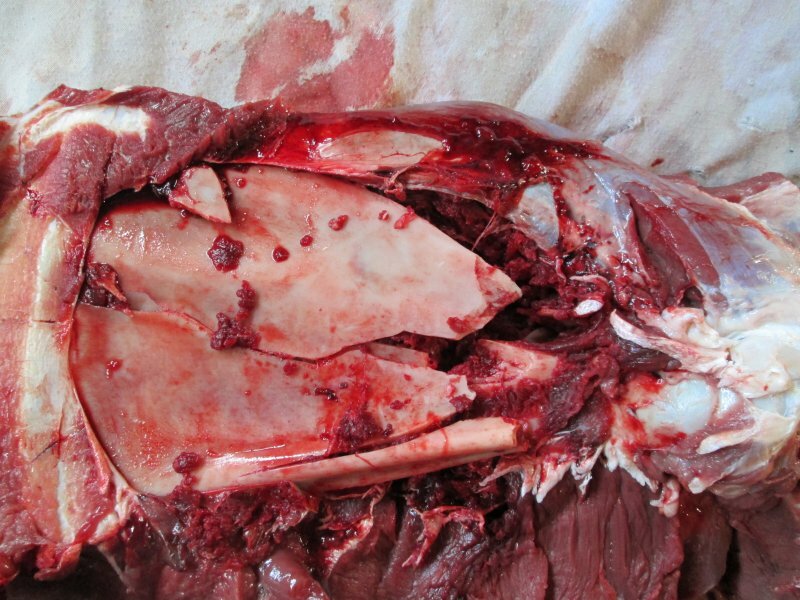 Lots of good jerky meat on them shoulders. FYI, this is a Barnes 290 gr T-EZ bullet which took a buck at 40/45 yards using 2 pellets of T7 shot out of a CVA Accura MR. Buck ran 20/30 yards before piling up. 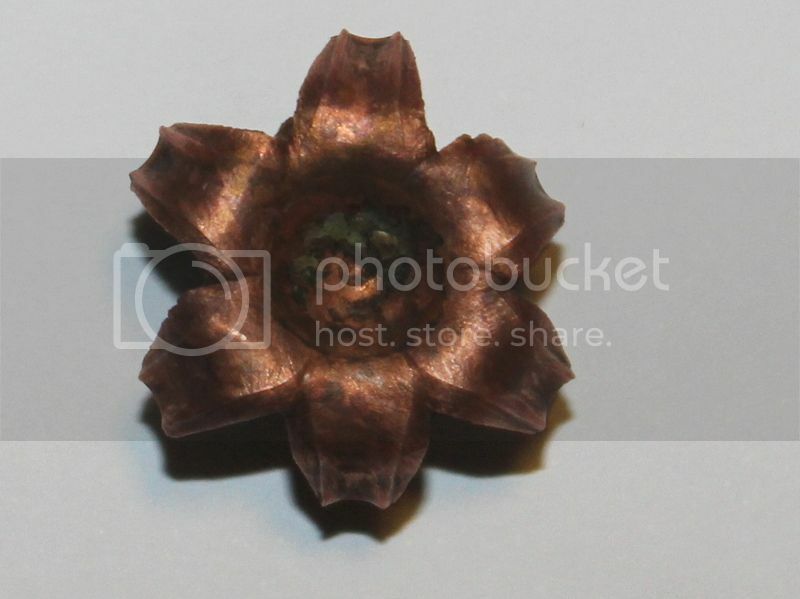 They are a building a new line of copper controlled fracturing bullets. But for you the new 452x240 CF could really be the ticket. These will become available real soon. Try em you will like em! Last edited by sabotloader; 05-23-2017 at 02:52 PM. There really is not a lot of difference in the muzzle velocity created by a #11 versus a 209 even the mag 209's. But there is normally better reliability of a solid ignition with a 209 than a #11 if your powder may have been compromised in some form. I have to use caps during our ML season here in Idaho and to help with ignition especially in cold weather I shoot T7-3f. With a 209 I use T7-2f. I am not a real fan of BH-209 powder even though it is a very good powder. In my opinion if a guy wants knock down you need to use a bigger hammer. 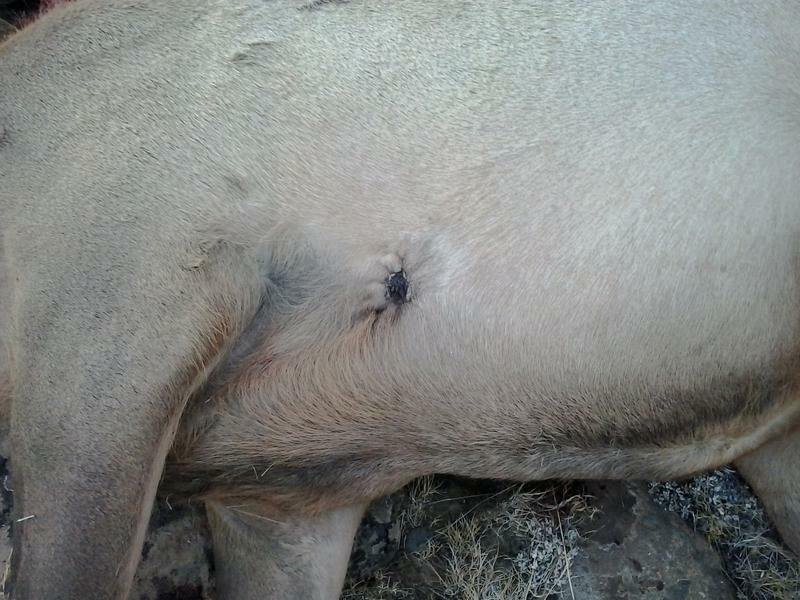 This old girl had been shot before. I shot her as she was coming to a call. I shot her st about 50 yards. I hunt is places that are public land but there is private land right there. If an animal runs you might not get it because land owners don't allow trespass for anything. Knocking them down right now is the best way. 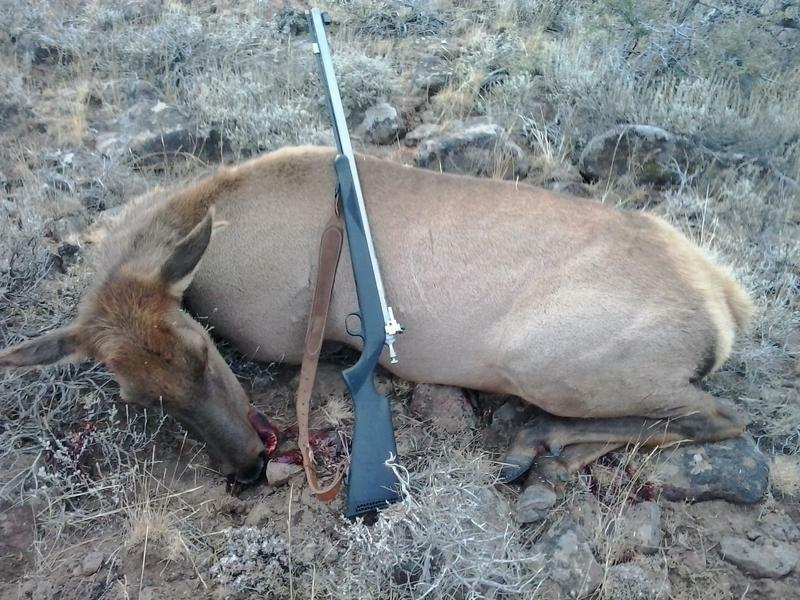 This elk was shot with a Paper Patched Lee 500 S&W bullet weighing 458 grains. The bullet is slightly hardened to about 6 or 7 BHN. The bullet was found in the flank. She was not knocked off her feet but she fell in less that 10 yards. I only use 80 grains of Pyrodex P.